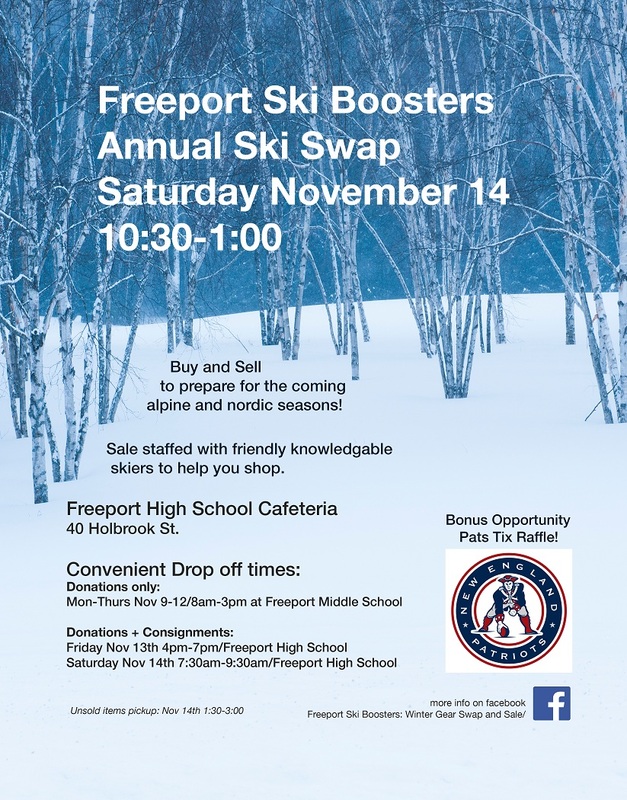 A Family Skiing in Maine: 2015 Freeport Ski Boosters Ski Swap - November 14th! 2015 Freeport Ski Boosters Ski Swap - November 14th! There is already a great selection of items checked in for the sale. Additional Consignment and donation check-in starts at 7:30am. Sale is at 10:30am. Powder Dreams Ski Shop has also brought in a big selection of closeout inventory available for sale! And we are raffling off Patriots Tickets!